Bitcoin Ripple vs. Bitcoin – What’s the Difference? 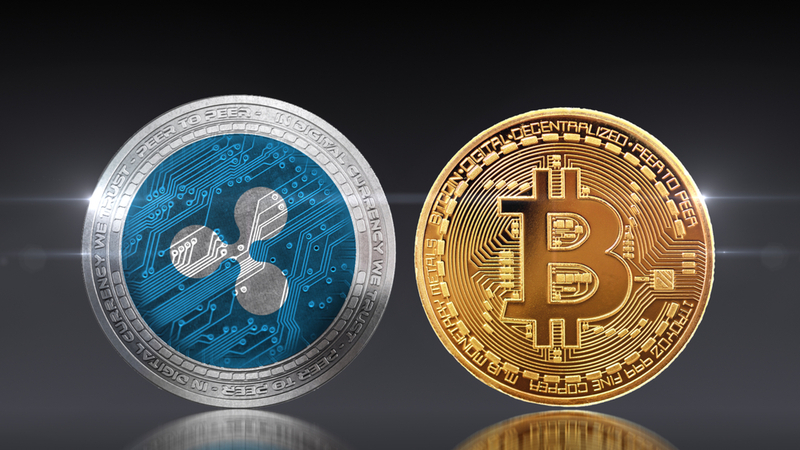 Ripple and Bitcoin are two of the largest cryptocurrencies in the market today, with billions in market capitalization. Ripple and Bitcoin are two of the largest cryptocurrencies in the market today, with billions in market capitalization. The two crypto assets are unique and stand on the opposite ends of ideology and management. Let’s understand the key differences between the two. Bitcoin began in the aftermath of the 2008 financial crisis where several major banks helped catalyze issues that led to the US economic recession. Bitcoin was an open source software that allowed the creation of “peer-to-peer electronic cash system” as described by Satoshi Nakamoto. The pseudonym was used by one or a group of developers who created the Bitcoin blockchain system- a distributed decentralized ledger that lets users send money to each other anonymously without needing a central bank. Ripple began in 2012 as a real-time gross settlement system. It is an open source distributed protocol that is designed to provide secure and instant global financial transactions for nearly zero fees. The system uses XRP, the native token of the blockchain and provides a suite of DLT products that can be used by institutions to make remittances and payments easier. Bitcoin network’s native currency is BTC. It is the largest crypto asset in the market and is also the most popular. It has a market capitalization of over $71 billion. BTC’s supply is limited to 21 million coins only. However, it could be divided into smaller coins up to 8 decimal points. The smallest unit is this network is called Satoshis. Ripple is the third largest digital asset in the world with over $12 billion in market capitalization. The currency is called XRP now, but it was previously listed as Ripple only on several exchanges around the world. However, Ripple Labs has recently started distancing the currency from the company owing to numerous controversies. Bitcoin follows the Proof-of-Work (PoW) consensus algorithm where miners around the world compete to mine the next block and verify transactions. The miners solve complex mathematical puzzles requiring massive computational power to mine blocks. The miners receive block rewards for putting in their resources and efforts into the process. Ideally, a Bitcoin mine takes 10 minutes to block which means that transactions are usually verified after 10 minutes. This process is very power intensive, making Bitcoin mining facilities notorious for their electricity bills. Ripple follows the Federated Byzantine Agreement (FBA) consensus algorithm. In this system, every node in the Network has a “Circle” in which it includes a limited number of nodes it trusts. These circles often overlap with each other, which means that each node is connected in some way. The transaction validators in this network are banks or institutions who receive prior accreditation. As each validator has their own transactions in the network too, they are incentivized to act honestly. This system doesn’t use as much electricity as there are no complex puzzles to solve. To confirm the transactions, at least 80% of the validators much reach a consensus. This process is easier and faster, allowing Ripple to manage 1,500 transactions per second while Bitcoin can handle only 7. Bitcoin is not controlled any single entity of person, and the developers come from all over the world who can contribute to the blockchain’s code and its upgrades. However, mining in Bitcoin has changed since ASIC miners came along. These expensive and powerful hardware increase the chances of receiving mining rewards for the users. There are several mining pools as well that combine resources to increase their chances of receiving the block rewards. China is the hotspot of these pools owing to low electricity costs. Over 50% of Bitcoin’s hash power is controlled by four mining pools. Ripple, on the other hand, has a different kind of decentralization problem. The Ripple blockchain comes from Ripple Labs, a private company located in San Francisco. Though the company cannot control or change transactions on the network, they have almost complete control of XRP. Ripple has frequently been criticized because it controls over 40 billion (40%) XRP in existence. If the company so pleases, it can use its dominance in the coin supply to manipulate its price. Another problem with Ripple is that it cannot be mined. Validators on the network are banks, not average people from the XRP community. Though no validator controls a majority of the network, the system doesn’t allow anyone but these institutions to participate. Bitcoin is a peer-to-peer payments network that doesn’t depend on banks for facilitating the transactions. The network is not just agnostic of banks but actively opposes how central banks and other banking entities make payments difficult. Needless to say, the early adopters of Bitcoin were people who were designated with the current banking system and wanted to build a decentralized future where people who could send and receive money freely. Ripple and XRP are bank-friendly. The company has several financial institutions and banks as payments partners who connect on the Ripple network and send payments using the company’s suite of products. Ripple provides both XRP-based and non-XRP payments systems to its partners and is eyeing the remittance network across the globe. It has a dominant presence in South-East Asian markets and wants to focus on the Middle East and North African region to find more partners and takers for its products. Ripple and Bitcoin have conflicting philosophies about digital currencies and the involvement of banks in the crypto network. However, they have managed to dominate the crypto market, nonetheless. While Bitcoin is the face of the crypto revolution and possibly the most well-known coin on the planet, Ripple is working to bring banks closer to the digital asset ecosystem. In terms of transaction fees, scalability and power consumption- Ripple appears to be a better blockchain network than Bitcoin. However, the Bitcoin blockchain helps in the creation of a peer-to-peer settlement network which enables people to participate in the new financial system. Overall, both the networks are helpful in creating a decentralized future that includes both banks and average people. Previous articleLitecoin (LTC) vs. Bitcoin (BTC) – What’s the Difference?